Today's special guest star, Amy Tsuruta, is a long-time friend of Winnie & Walter as she was our March 2015 Leading Lady and someone we always invite to guest for events as she and her work is always a delight! Amy is just one of those people you love because they are so friendly and supportive not mention she is an amazing artist. Please give her a warm w&w welcome! Hello! 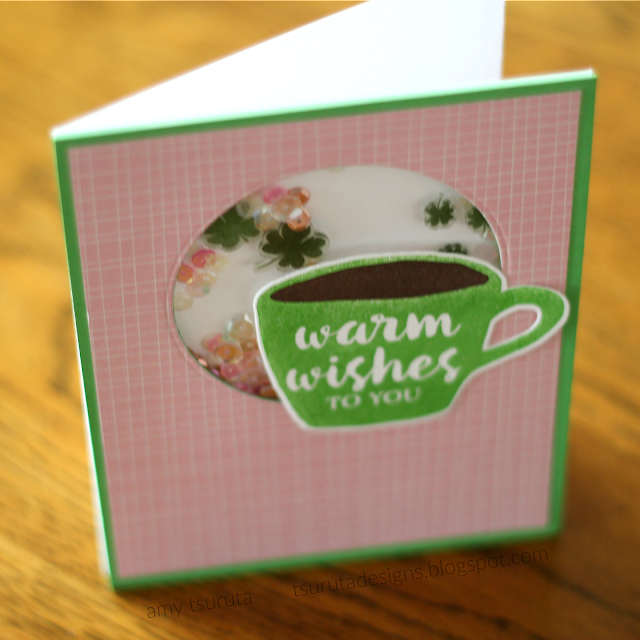 Amy here from Tsuruta Designs and I'm so thrilled to be helping celebrate Winnie & Walter's Fourth Birthday! 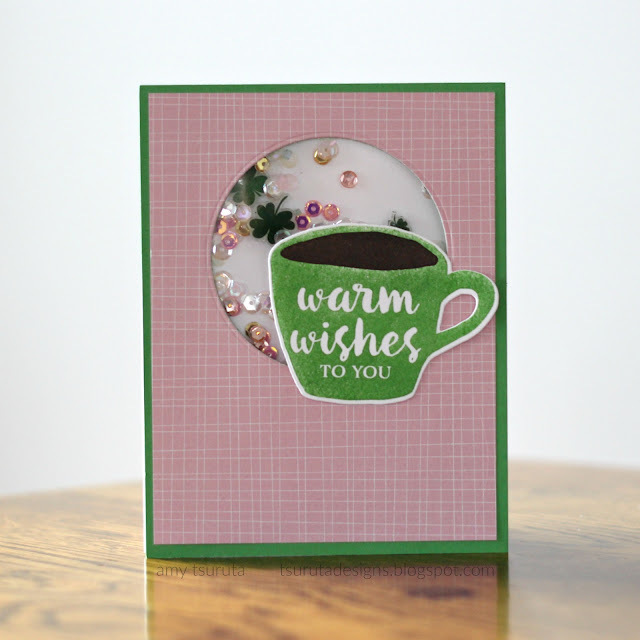 Today I'm playing along with Lea's Shaker Challenge! My spin is my love for COFFEE! I used the For Luck set that was free with qualifying purchase (through February 23, 2018). 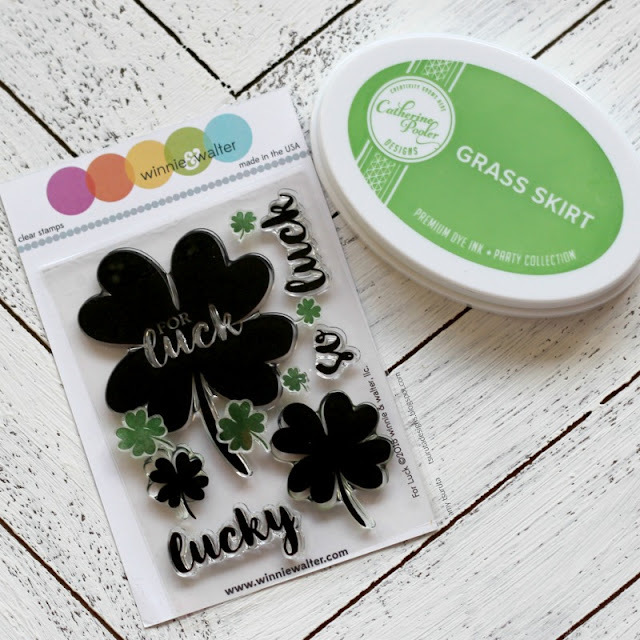 I stamped the medium and small shamrocks in Catherine Pooler Designs Grass Skirt ink on Shrinky Dink film. The shamrocks make a nice addition to the sequin mix, perfect to send around St Patrick's Day. If you've been following me for any amount of time you know that I love coffee + the color green. I actually placed foam tape behind the coffee mug so that the sequins wouldn't get lost behind it. That's it for me, a big shout out to Shay for the invite and big birthday wishes!!! Super fun! Love Amy's work! Shay, thank you so much for the invite! So happy to be able to celebrate your 4th birthday with you! Awesome card Amy, love the sequin elements on this! Oh amy!!! Love those shrinks dinks! Awesome shaker! 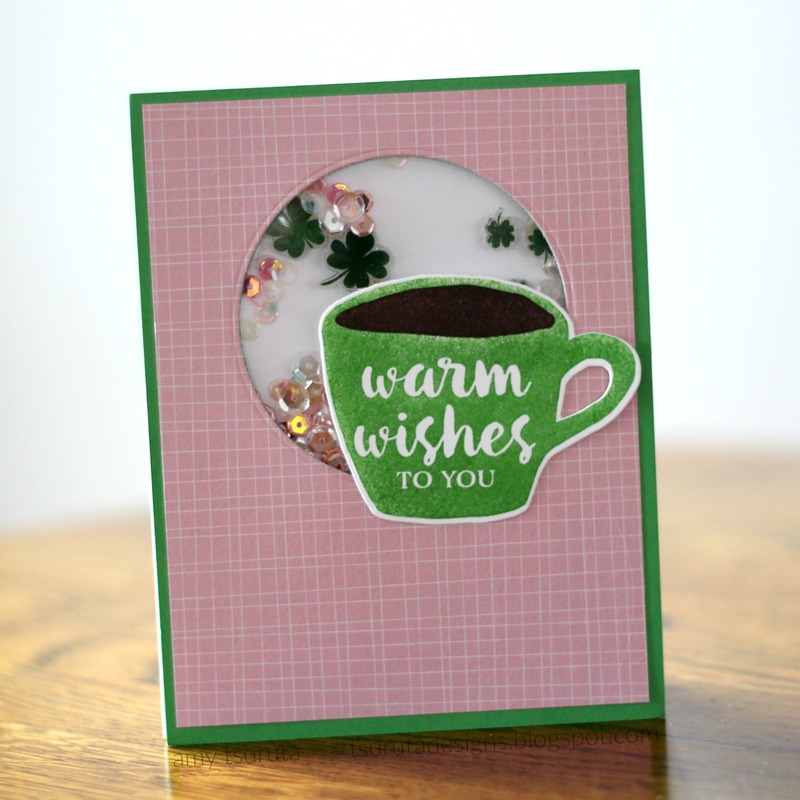 Very fun Shaker card especially with the Saint Patty's Day theme! Awesome card by Amy! Love all the green!